Irish-American voters have become the focus of intense campaigning in the US Presidential election as the race for the White House hots up. A police unit set up to reinvestigate conflict-related killings has been totally compromised by the malign influence of the murderous Special Branch and should be scrapped, according to a new report. 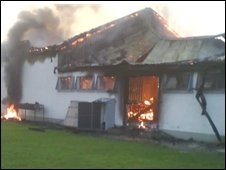 A Gaelic sports clubhouse in south Down has been gutted in a loyalist arson attack. Sinn Féin President Gerry Adams today called for an Independent International Truth Commission on the confict as the best way forward on the issue of truth recovery. Multiple killer Michael Stone has told a trial judge that his infamous armed assault on the Stormont Assembly was a “comic parody” and a “performance artistic protest”. 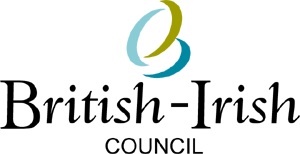 First Minister Peter Robinson and deputy First Minister Martin McGuinness are expected to attend a British-Irish Council meeting in Edinburgh today [Friday], despite the fact the Stormont executive is not meeting. On the 25th anniversary of the mass escape from the H-Blocks of Long Kesh, some of those who took part have revealed the dramatic events surrounding the escape for a new documentary. The North’s strained stalemate exploded in rancour on Thursday when the Stormont’s cabinet-style administration visibly broke into rival factions. Legal action is to be taken against the British government unless it hands over recordings of the telephone conversations of a ‘Real IRA’ team as it was transporting the devastating 1998 Omagh bomb. Sinn Féin’s former Publicity Director Danny Morrison has demanded to know why his conviction for the abduction of an IRA informer is to be quashed without explanation. The Stormont Assembly this week debated their concerns over continued armed actions by republicans after a 100lb bomb was discovered hidden in a hedgerow in south Armagh. It is hoped that a 10-day hunger strike by Mayo teacher Maura Harrington will end shortly following the announcement by Shell Oil on Thursday that its pipe-laying ship is to leave Irish territorial waters and sail to Britain for repairs. A Derry man has called on members of the Policing Board, which oversees the PSNI, to state where they stand in relation to Special Branch pressure on people to turn informer. Omagh - The bomb to end all bombs? Did a British agent first flout Omagh as a potential target for a bomb attack? Was the carnage of August 15 the product of his labour? Allister is challenging the leadership of the DUP not from a solid, assured position but from the sidelines, from the fringes of unionism and he is causing them to lose their nerve. Unionist hardliner Arlene Foster has retained the DUP’s seat in the closely watched Enniskillen local council by-election. 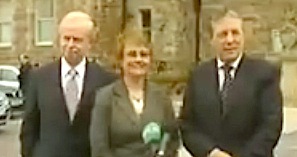 Ireland’s small Progressive Democrats party is set to be wound up after its members in the Dublin parliament agreed that the organisation was “no longer politically viable”. Pressure is growing today for a public inquiry into the Omagh bombing after it was revealed British intelligence chiefs were listening in to the Real IRA’s mobile phone calls on the day of the attack. 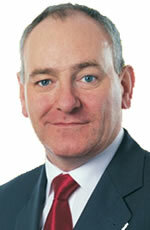 SDLP leader Mark Durkan has stunned the political parties in the north by calling for power-sharing between nationalists and unionists, a key safeguard of the 1998 Good Friday Agreement, to be scrapped. Republican Sinn Féin has accused the Provisional IRA of gathering intelligence on other republican groups and passing the information on to the police north and south of the border. As the DUP and Sinn Féin continue talks to reach a deal on difficult issues, British Prime Minister Gordon Brown is expected to visit Belfast next Tuesday. The trial has begun before a juryless Diplock court in Belfast of a bank official for the robbery in 2004 of the Northern Bank. Members of a notorious unionist paramilitary death sqaud have been accused of carrying out a savage assault in which a young mother was held down by four men and bitten on the face. Next Thursday sees an important local council by-election in Enniskillen, County Fermanagh. Did he really say that? After initial disbelief, that was the first question a lot of people asked when they read reports of Mark Durkan’s weekend speech to the British-Irish Association (BIA). 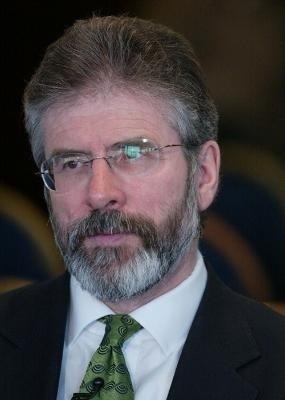 Sinn Féin President Gerry Adams has stated “categorically and definitively” that the Provisional IRA has left the stage as the DUP continued to demand a statement by the organisation’s Army Council on its status. The 26-County government, facing an unprecedented budget deficit, has brought forward its annual economic policy statement by two months amid heavy criticism of its failure to act over a looming meltdown in the Irish economy. Eight more environmental activists were arrested in County Mayo today [Friday] after an extraordinary confrontation between the Irish Naval Service and campaigners attempting to halt the construction of a potentially dangerous high-pressure gas pipeline. The British government is coming under renewed pressure to admit a cancer-causing gas was used on republican prisoners during a 1974 Long Kesh riot. 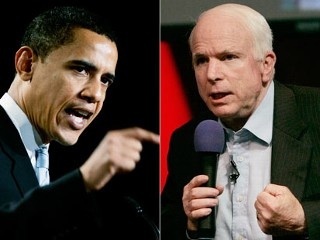 US Presidential candidate Barack Obama has asked former senator George Mitchell and six leading Irish-American politicians to advise him on Ireland amid a backlash over his campaign’s handling of Irish issues. Modernisation of the Orange Order? The final installment of a three-part series looking at the malign influence of the Orange Order in the north of Ireland, from its inception to the present day. The current impasse at Stormont is the price everyone here has to pay for the DUP’s exercise in political dishonesty in spring 2007. The Provisional IRA’s ruling Army Council that once directed its armed struggle is no longer operational, a report for the British and 26-County governments has declared.